Shea Rubenstein is a trained singer and Chazzan who is highly sought after at performance venues. He is gifted with a melodious tenor voice, which translates well in every music style. 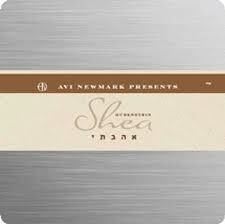 From Carlebach nusach, Baal Tefillah, to Chazzanus, Shea has the range and depth to do the genre justice. Songs were composed by Yossi Green, Yitzy Waldner, Baruch Levine, Elimelech Blumstein, Ari Goldwag & Chaim Ella Hartman.